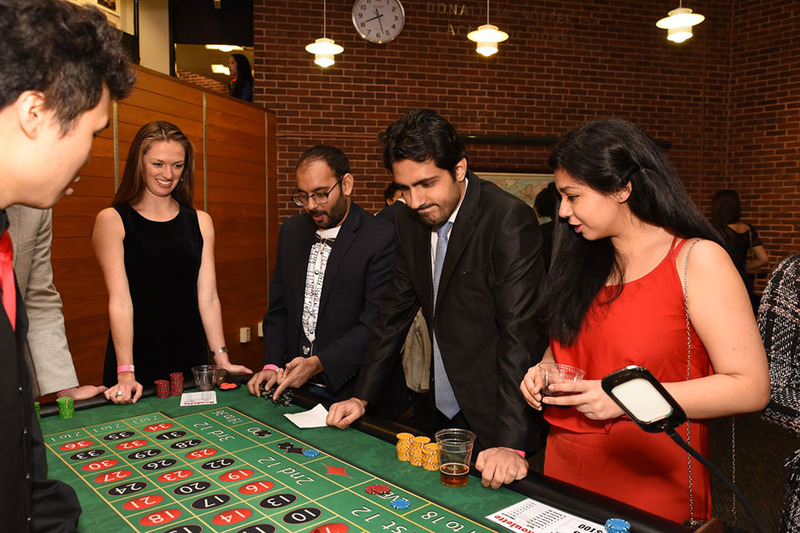 Graduate business students take a break from their studies at Casino Night 2018. Graduate student gatherings, galas and getaways are held throughout the year. Watch this space for times and dates. Start the day with fellow grad students, enjoying fresh fruits and various continental breakfast items. Held every Tuesday morning throughout the academic year at the Graduate Center, Kutz Hall. Enjoy hot breakfast foods (eggs and pancakes), fresh fruit and juice after class. Held every other week at the Graduate Center, Kutz Hall. Learn how to manage your transition to graduate school. Topics include off-campus housing, classroom etiquette and healthy habits. Explore the local area while kayaking, hiking, apple picking and shopping. Trips usually held during the first six weeks of the academic year. Featured events throughout the year include pumpkin carving in the fall, a weekend ski getaway in the winter, a Red Sox game in the spring and massages and ice-cream social during finals week. Join your fellow graduate students for an early-season Sox game at historic Fenway Park. Tickets are $10 each, which includes admission and transportation to and from the game. They can be purchased at the box office in the Shapiro Campus Center atrium. Complete the submission form to add events you are hosting or know of that are suitable for graduate students. Please Note: The submission form only works while on campus.